As well as gaining a first class music degree and studying the violin at the Royal Academy of Music, the Leipzig Conservatoire, and the University of California Los Angeles (UCLA), Darrell gained an insight into the world of music having studied and had master classes with some of the world’s greatest composers and musicians including Olivier Messiaen, Leonard Bernstein, Gyorgy Ligeti, John Willliams, Pierre Boulez, the Amadeus Quartet, Anne Sophie Mutter and Itzhak Perlman. He went on to record and perform at the highest musical level and in many of the finest concert halls around the world, from the Carnegie Hall in New York, the Musikverein in Vienna to the Hollywood Bowl in LA, as a member of Sir Neville Marriner‘s internationally renowned chamber orchestra, The Academy of St. Martin in the Fields. He also performed with many of the top conductors, soloists and orchestras, including the London Symphony Orchestra, BBC Symphony Orchestra, The Leipzig Chamber Orchestra and the Philharmonia Orchestra. It was with the Academy that he worked on the soundtrack to the Oscar winning film, The English Patient. This film sparked his love of film music, which he feels bridges the gap between symphonic and more contemporary popular music. In 1996 he formed COOL Music Ltd (COOL stands for Chamber Orchestra Of London – please see www.coolmusicltd.com/contracting.asp) to provide composers/artists with a new generation of musicians talent and went on to contract musicians on numerous films, games and TV dramas, as well as acting as string MD on several tours for Madonna. At this time he was also honoured to be asked by Sir George Martin, the Beatles manager, to consult and organise tracks from his last album In My Life, featuring the speech and vocals of Sean Connery, Jim Carrey, Goldie Hawn, Celine Dion, Jeff Beck, etc. In 2000, COOL Music Ltd, as well as contracting musicians, formed a composer agency and now represents many of the finest award winning Film, TV & Games composers working in the industry today. 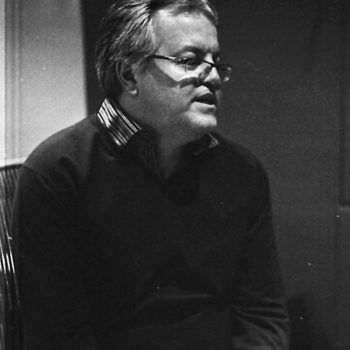 As the owner, senior agent and music consultant at COOL Music Inc in LA and COOL Music Ltd in London, he has been involved in the music production on hundreds of films, games, television dramas and records, from Jan Kaczmarek‘s Oscar winning score to Miramax’s Finding Neverland (starring Johnny Depp, Kate Winslet, Dustin Hoffman) to Warner Brother’s Harry Potter and the Order of the Phoenix and the Half Blood Prince, scored by Nicholas Hooper, to six series of Downton Abbey with the Emmy award winning John Lunn. Recent scores have included the New Line horror ‘It’ and Blade Runner 2049 with Benjamin Wallfisch, The Man from UNCLE & King Arthur for Daniel Pemberton and many films with their Oscar winning clients Rachel Portman and Anne Dudley. He has also worked on numerous games including the Bafta nominated games Alien: Isolation, the Ivor Novello award winning Horizon: Zero Dawn with Joris de Man and The Flight, and the legendary Halo 4 scored by Neil Davidge.